Barn Cats: natural rodent control! Barn Cats: natural rodent control! What are barn cats? These are cats that are not “social” (e.g. 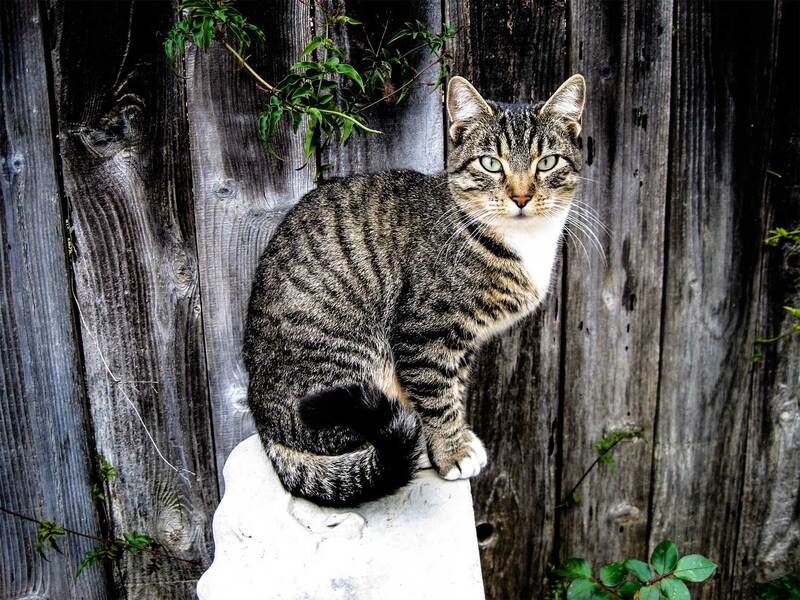 feral or semi feral cats), but that could be wonderful working cats! A working cat is a cat or cats that are strategically placed in a safe location, with shelter (barns, garages, commercial buildings, sheds, nurseries etc.) and typically do the job of natural predation of rodents very effectively. The adopter must be willing and able to also provide regular food & water as well as medical care. This is accomplished by having a designated caregiver on site. Do you have a safe place that needs a working cat or cats? If so please contact your local shelter or rescue group to arrange a meeting on how this life saving program works! 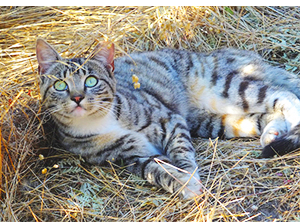 A bonus is that often these feral cats become quite social once placed, we have lots of stories of once feral kitties that are now highly social with their caregivers. 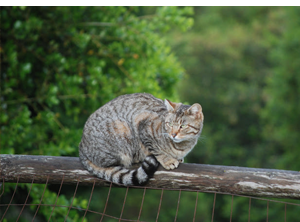 Seven Cats Farm is a small, family-owned farm in Monterey County which uses sustainainable farming methods, including natural rodent control provided by cats. Their feral colony began several years ago through Project Purr‘s barn cats program.